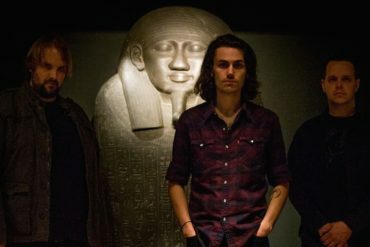 When Jakals dig into their new song “Trauma Hoarding,” they aren’t using the tune’s titular phrase lightly. 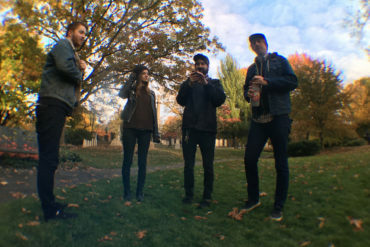 The Boston band excavates a good deal of skeletons in their collective closet on their new record Bat Brains, a restless comp of six tracks that dropped today (August 13). And everyone’s invited to grab a shovel and do some of their own emotional digging while tuning in. 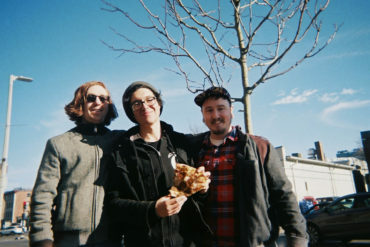 Recorded over the course of six days in March with Benny Grotto at Mad Oak Studios, Bat Brains is the followup to the group’s debut album Keep Mother Sane from 2017. The release also heralds the start of their quick end-of-the-summer tour, which kicks off at O’Briens Pub in Allston on Friday (August 17) with Man Trouble, Humble Digs, and Tory Silver. The album title is even more loaded, referencing a young life lesson about death for Solomon that ended in a slew of rabies shots for her and her family. While tumult links all the tracks together, it’s still “Trauma Hoarding” where Bat Brains reaches a grisly topical tipping point. It’s a messy comparison, but a true one nonetheless. JAKALS + TORY SILVER + MAN TROUBLE + HUMBLE DIGS :: Friday, August 17 at O’Brien’s Pub, 3 Harvard Ave. in Allston, MA :: 8 p.m., 21-plus, $8 :: Advance tickets :: Facebook event page :: Featured image via the band.